I loved this book. Seriously. Loved it. I loved it so much that I've been kicking myself for never having read a Sarah Ockler book before this. How have I not read any yet? I even own both Twenty Boy Summer and Bittersweet. What is wrong with me?! If those are anything like The Book of Broken Hearts I'm going to be so mad for letting them just sit on my shelf for so long!But let's focus for a few minutes on this book. Because I loved it (did you hear?) and I definitely think you should read it. We not only get a little bit of romance between Jude and Emilio (a new favorite! ), we get a truly touching view into the relationship of a father with early onset Alzheimer's and his youngest daughter during the summer before she moves away for college. It is heartbreaking, emotional, and beautiful. It made me cry. And I almost never cry during books. I know I won't be able to do it justice here with my words, but this book seriously touched my heart.A few things I liked best about this book were the main character Jude, her relationships with her sisters, the focus on family, and, of course, the romance. Jude is a wonderful MC and while she did have a problem sticking up for herself and really knowing what it was she wanted, she was brave and hopeful and loyal. Where there times I wanted to punch her for being such a pushover? Sure. But she grew up during the book and that's pretty much what it was all about. And the way she dealt with her father and his disease was much stronger than I could have ever been. Jude's relationships with her sisters changed as she changed throughout the book and even though I've never had sisters, let alone three who were much older than me, I appreciate the way they tried to take care of her and the way she always felt left out of their group. Emilio was pretty perfect as the male interest, a bit of a mysterious bad boy with a motorcycle and scars (literally and figuratively) but also a heart of gold. All of these components combined with the heartache of Alzheimer's made for one emotional ride and an excellent book.Final Thoughts: Read this book. 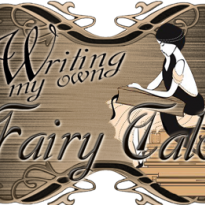 If you are a fan of YA Contemporaries, I really think you'll like this one. It was more emotional than I was expecting and the romance was definitely not the main focus, but it was a beautiful book about growing up, changing relationships, what's really important, not taking things for granted, seizing the moment, and all of those other things we sometimes forget about when we're busy focusing on our futures and goals instead of the present. I'm still heartbroken over her father's disease and his moments towards the end left me in tears. But the characters are strong so we're also left with hope. Not that her father will be able to beat the disease, but that love is real and broken hearts can be mended. 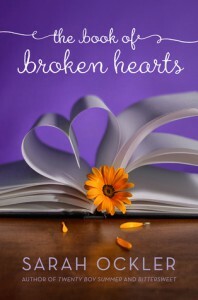 I gave The Book of Broken Hearts 5 stars and highly recommend that you read it.